It can be difficult and overwhelming to deal with chronic pain. Not only is chronic pain physically uncomfortable, but it can also wear you down mentally. Pain can come about because of an accident, overuse, an infirmity, or because of an injury. Chronic pain can be in any part of your body. Regardless of the source of chronic pain, if you are suffering from pain in any way, the main thing that is on your mind is getting relief. Pain is something that is unique to each individual. It can be difficult to describe your pain, and it can be impossible for others to understand it. The best that doctors can do is try to alleviate your pain in the ways that are most conventional. Conventional medicine will prescribe pain relief in the form of pills or injections. Unfortunately, when you are on a college student’s budget, this can be expensive. It is possible that you may not have insurance, or if you do have insurance, you may have a high deductible. In both situations, it can be extremely difficult to make payments for medications or injections. There are some more affordable, less invasive, options to consider. Many types of pain can be the result of inflammation, which can sometimes be treated with cooling and heating pads. Applying a heat pad to the inflamed area will help blood circulation, which reduces the inflammation. It also helps tight and sore muscles to relax and restore their original positioning. Ice and cooling the area is used to slow the blood flow to an injured area, reducing the risk of swelling and inflammation. Cooling is usually used prior to actual pain and inflammation has set in; heating is used after. Pain can also be caused by tightness and stiffness in joints and muscles. This pain can be treated with alternating heat and cold. Heating and cooling pads can be inexpensive, and they can be bought over-the-counter. Apart from that, it is easy to make your own heating and cooling pad at home. An alternative to medicine can be chiropractic care or massage therapy. These are treatments that can be expensive if you do not go to the right therapist. There are schools of massage and chiropractic schools that can give you a great adjustment or a soothing massage for a fraction of the standard price. Apart from that, if you do not have insurance, there are some chiropractors and massage therapists who will give you a student discount. Consider a payment plan to pay for more expensive care if you lack other options. Never underestimate the power of good rest. Everything in your body, including your bones, muscles, and joints, need to be relaxed. Sleeping not only relaxes the body, but it also gives your body a chance to heal. If you have recently been injured and do not get proper rest, it is possible that you will not be able to heal properly from your injury. If your body is not allowed to rest and recover, then you will continue to have pain. With sufficient sleep and rest, your body can heal and relieve itself of pain. 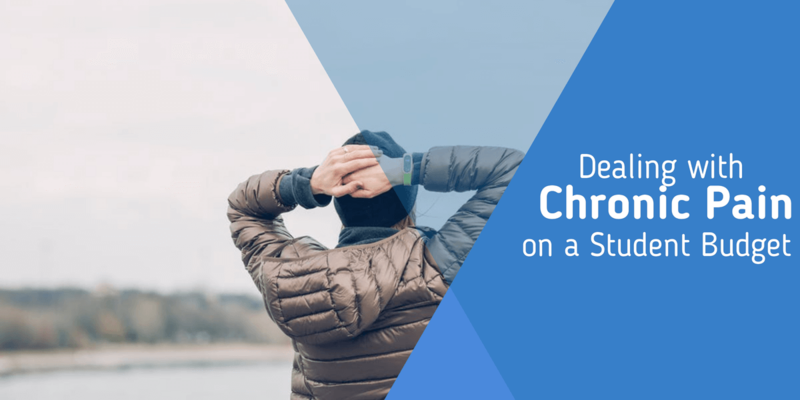 Chronic pain can be seriously debilitating, but there are ways that you can lower or alleviate pain. Make the effort to find the most affordable ways to get relief from your chronic pain so that you can lead a healthy life that is pain-free.